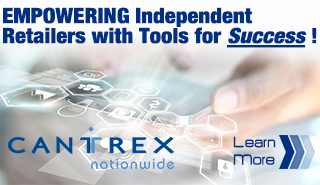 LAS VEGAS –Added-value bedding resource Protect-A-Bed (PAB) has launched a new interactive point-of-sale tool to help furniture and mattress retailers sell more pillows, with or without the mattress. Introduced at the recently winter furniture market here, the Chicago-based company said Sleep Tailor used propriety bio-mechanical models to recommend the ideal pillow for each user and is part of its strategy to pursue innovation in the sleep accessory category through personalisation. In a statement, the company said while comfort and temperature regulation are essential to a good night’s sleep, a proper pillow fit is critical to long term comfort. “Studies have shown that adjustments in pillow height, density and positon can greatly impact spinal alignment, cranial pressure and other factors that influence both neck and back pain,” the statement said. 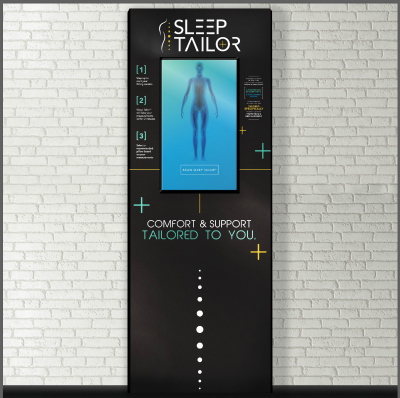 An interactive in-store tool that looks like a giant iPad, Sleep Tailor scans the user’s body, takes into account personal preferences, dimensions and other details to match the user with his or her optimal pillow. Designed to work in real time, Sleep Tailor combines multiple data points using a proprietary algorithm and biomechanics model to recommend pillows tailored specifically to each user for proper head and neck alignment. “We find that recommending custom fitting pillows based on a person’s unique size and shape ultimately leads to the best fitting pillow, improves alignment and resolves issues like a stiff neck,” Warrick Bell, PAB vice president of product development said. Protect-A-Bed plans to expand technological capabilities by eventually connecting Sleep Tailor with the REM-Fit and ZEEQ mobile apps. This will allow the combination of sleep tracking data with body metrics for higher precision recommendations. “This development is a win for both retailers and consumers. For the retailers, it means lower return rates and technology that will drive traffic into brick and mortar locations. For consumers, it means a better night’s sleep and feeling more refreshed after waking up,” PAB president John Rachid added. “At the end of the day, our goal is to provide the best sleep possible. Sleep Tailor gets us closer to that goal by helping consumers find the products that will fit them best,” Bell said, adding the devise fully supports the over 40 new pillows the company introduced during the market.